Having a previously criminality is a serious impediment to international travel. Many people are disappointed to know that their travels to Canada may be affected due to their previous criminal convictions and consequently being deemed ‘inadmissible’ to Canada. 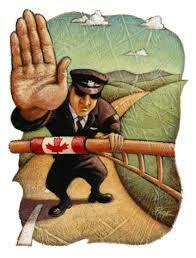 Not all prior convictions will mean that you will be refused entry to Canada. Sometimes depending on your reason to enter Canada and your past conviction the Officer at the border might still let you in. For example, you need to enter Canada for an urgent business meeting and you were convicted of a minor offense of disorderly conduct. Now, even though Disorderly Conduct is an offense, it is possible to argue at the border why the need is higher that the possible risk. Of course it is still up the Officer at the border to decide if they want to let you know. But if you arrive at the border with proper paper work, it is very possible you might be let it. So prepare the proper paperwork will be key to the Officer allowing you enter Canada. To know this, we will need to know the foreign offense and then compare it to the Canadian Criminal Code. If the offense you were convicted of outside of Canada is not considered an offense in Canada, then you will be allowed entry. Having your foreign conviction expunged might negate the inadmissibility to Canada. Depending on how much time has elapsed, you may be deemed rehabilitated and that might overcome your criminal inadmissibility as well. Depending on the type of offense and how many offenses are on your record, you may be considered rehabilitated after 5 or 10 years from completing your sentence. In this situation, depending on this elapsed of time; you may qualify for being “Deemed Rehabilitated and Individual Rehabilitation”. In order to determine this, you would need to understand the Regulations when it comes to the finalization of your convictions as well as how to count the time elapsed since this date. If you are unaware of the Regulations, this can be a complicated matter. 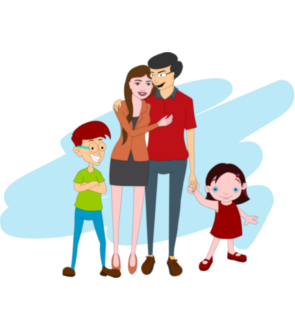 Akrami & Associates has a great deal of experience when it comes to assisting people enter Canada who are facing this situation. Contact us to find out what options you may have the solutions that we can assist you with. With Akrami & Associates, there is always a way.